is made of durable PU LEATHER with a glossy look. The base is covered in stylish PU which helps lend it a modern and trendy look. The interior features an Anti-Shock System to protect your laptop and a handy pocket for an iPad or tablet. It features a useful sling strap to carry handsfree. 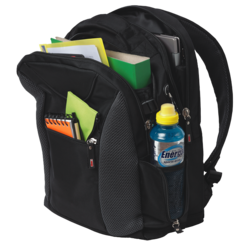 We are a well-renowned organization in the industry to provide our patrons the best quality array of Fancy Laptop Bag. Exterior: 2 front big zip closer compartments & at back 1 big open compartment. Interior: Total 4 full size compartments out of which 1 zip closer compartment for keeping important office documents & other 1 for big size laptop (Good quality fabric cushioned) & 1 is an organizer (2 mob, 3 pen). Use of canvas lining on the inside for enhanced durability and sturdiness. leather & canvas combination bag. 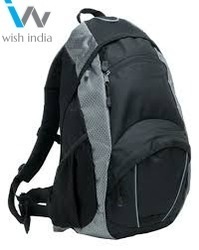 We understand clients requirements and provide best quality range of Laptop Bags in superior qualities & varieties. Our products are designed & manufactured with best quality materials and are used in regular and promotional purposes.